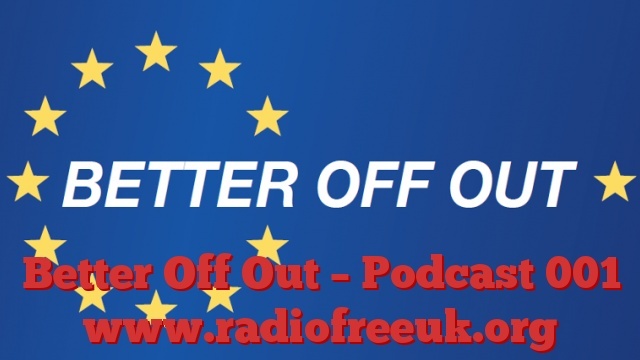 This is the first podcast by Better Off Out, introduced by Rupert Matthews the National Campaign Manager. You can find Better Off Out on Facebook, Twitter and YouTube as well as on our website www.BetterOffOut.net. We welcome all Brexiteers and offer a wide range of campaigning materials and activities. Go to our website and check us out. Meanwhile, this first podcast includes a trip to Accrington in Lancashire, another visit to Birmingham and finally our appearance at the Young Independence Conference. Rupert Matthews of Better Off Out meets with Edward Spalton of Campaign for an Independent Britain in Accrington to talk about the true cost of the European Union to the residents of this Lancashire town, and to us all. Rupert Matthews of Better Off Out travels to the brickworks in Accrington, Lancashire, where the famous “NORI” brick is made to learn what this humble brick can tell us about world free trade and the UK’s relationship with the EU. The magnificent market hall at Accrington, Lancashire, has a stall selling jelly babies, but also has much to reveal about EU trade regulations and why Britain would be better off leaving the EU. This statue of King Edward VII was made from marble imported from Italy in the days before the European Union existed. Even so its history and its links to the British Commonwealth point the way to the future of Britain if we vote to leave the EU. A gilded bronze statue of Matthew Boulton, James Watt and William Murdoch by William Bloye and Raymond Forbes-Kings stands on a plinth of Portland stone, outside the old Register Office on Broad Street in Birmingham, England. Rupert Matthews of Better Off Out explains what the statue can tell us about Britain’s relationship with the European Union. A speech by Rupert Matthews of Better Off Out to the Young Independence Conference outlining the reasons why Britain should vote to Leave the EU, and why the campaign to secure that vote is going to be so difficult.